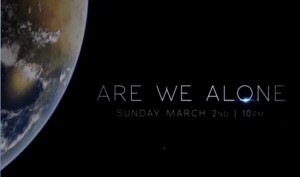 Once again, the Science Channel is reprising its popular extraterrestrial-themed Are We Alone? week. As previous years have demonstrated, the Science Channel does an incredible job packing the first week of March with highly entertaining and provocative shows exploring UFOs and extraterrestrial life. The week of alien and UFO programing begins on Sunday, March 2 at 10:00 p.m. ET/PT with new episodes of NASA’S Unexplained Files. Other new programs, like the series Close Encounters, will air during the week. And Morgan Freeman’s Through the Wormhole, which has been featured in previous years, returns to Are We Alone? week. 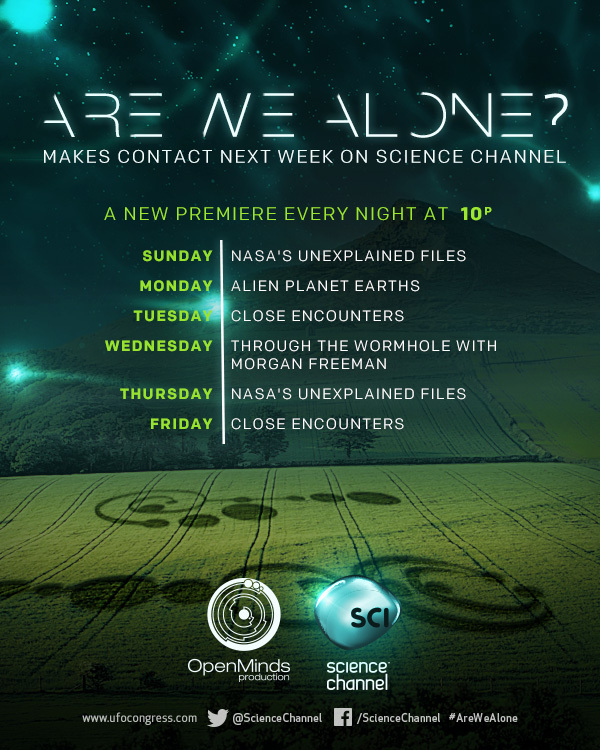 The show Uncovering Aliens, featuring Open Minds’ Maureen Elsberry, is also airing during the week. The Science Channel partnered with Open Minds to premiere some of these shows at the 2014 International UFO Congress where they were well-received. Check the Science Channel listings to see when shows will air.